Come and hang out with me and the FV team! A lot of you have been asking to see the clothes first before ordering online, so this is your chance! Laugh, shop, eat. And this time, with your mom. Nothing’s better. Guests will get a special something. But if not, just come if you’re free on the day and join in the fun! 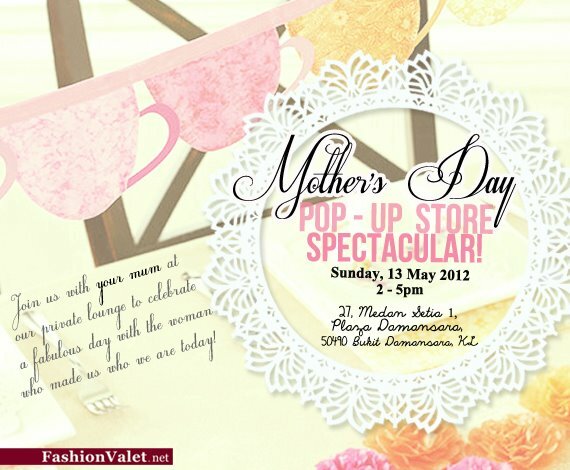 I wanna come but I already have a Mom’s day family gathering that day! cant wait for tomorrow! yeayy! thanks for having this Vivy 😉 it was good fun and interesting!